Power markets are being redefined. Solar and storage will eventually reach grid parity almost everywhere. It is only a matter of time. When they do, the mass deployment of distributed generation will prove to be more profitable than any other source of electricity production and distribution. It will be the end of the traditional model, based on centralized generation and one-way distribution to passive consumers. The new model will position generation and consumption at the lowest level of the system architecture. On top of this change of network philosophy, the marginal cost of production of solar and storage will be virtually zeroed, leading to a world where the consumption of electricity will be significantly reduced. Utilities will need to transform, and their financial models will be deeply revisited. The organizational variations of utility markets will also see each country and each utility react differently. Digitization is the critical enabler of the smooth transition towards a New Energy Landscape for all of the actors of power markets. Better leveraging the Internet of Things and integrating their IT and OT systems will help utilities efficiently transition from one world to the other. Decarbonization will indeed happen, thanks to the convergence of economic interest and environmental protection measures. With this, utilities will favor sustainable solutions for local energy production, energy efficiency and storage. These decentralized energies will deeply modify the way utilities operate. Utilities will face a significant increase of operational complexity requiring a greater level of real-time flexibility. This step-change in terms of operational performance will only be achieved thanks to a more digitized and connected operational ecosystem. Distribution System Operators (DSOs) will be at the heart of the transition as most of the changes will occur on the distribution network. On one hand, the complexity of their real-time operations will be significantly increased. On the other, these utilities will need to switch to more efficient investment strategies. Their ability to meet the challenges ahead will only be achieved thanks to true IT/OT convergence. Additionally, the DSOs will be the cornerstone of enabling real-time data-based markets of the future. Their ability to collect, store, discriminate and share data to all market players will be key in the upcoming transition. DSOs of the future will not only be “cable” companies, they will become “data & cable” companies. 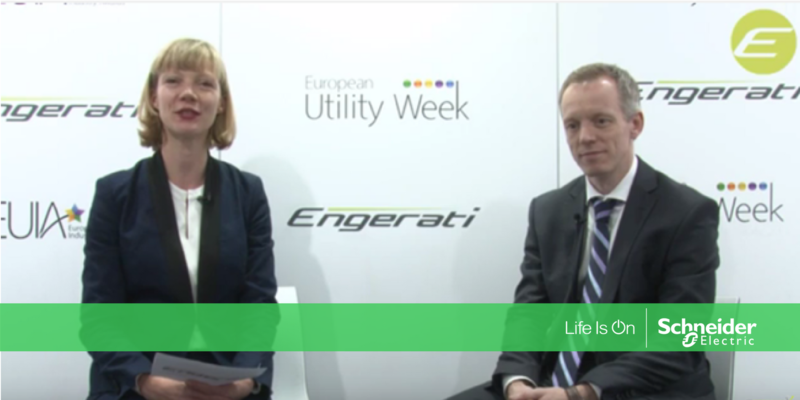 Using Ecostruxure Grid, our open IoT-enabled framework to support distribution utilities in their digital transformation for the new world of energy. Our intelligent products, like connected switchgears, relays and sensors serve as the foundation of smarter operations. Our grid automation solutions and analytics-based software applications help DSOs design, upgrade and operate connected grid infrastructures in the most secure, reliable and efficient manner ever, while integrating more DERs, maximizing network stability and ensuring active participation of new players in evolving power markets. Watch this interview to learn more.